A healthy heart menu is a good idea regardless of whether you have any heart health issues. A healthy lifestyle starts with the foods you eat, so why not get started today and eat a diet that supports cardiovascular health? Many people relate dieting with healthy eating. In some cases this is true, but not always. Losing that excess weight can certainly improve your health, but how you lose those extra pounds is even more important. Healthy eating involves choosing healthy foods and staying active. Extreme weight loss programs that encourage people to lose a large amount of weight in a short period of time have no place in a heart healthy diet. Heart patients typically already know how important it is to choose nutritional foods. A healthy heart menu centers around fresh fruits and vegetables, lean meats, and whole grains. In addition, keep the following points in mind. Choose foods low in saturated fats. Become a label reader. In most cases, you want to choose entrees that contain no more than three grams of saturated fats. An exception to this would be fish entrees because fish is full of omega-3 fats, which are considered heart healthy. Pay attention to food colors. Fruits and veggies that are colorful will offer lots of fiber and antioxidants. Don't forget the legumes.-They are a great source of fiber. Schedule tea time.-Teas are wonderful heart healthy drinks. Go nuts!-Nuts and heart healthy oils like olive oil and flaxseed oil as well as whole grains and soy products are also heart healthy foods. Get moving!-Embracing an active lifestyle will certainly benefit your cardiovascular health as well. Heart healthy foods can protect your heart and many other areas of your body. Before you think that eating a healthy diet involves missing out on delicious foods, think again. 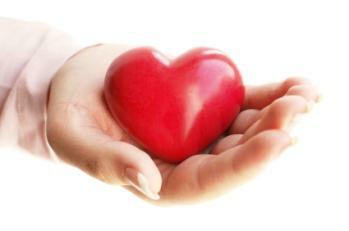 The following is a list of foods that can easily be added into your heart healthy menu. Oatmeal-Oatmeal is a heart healthy staple that can be heated and served alone or used in a variety of desserts. Primary nutrients include potassium, calcium, fiber, and omega-3 acids. Salmon-Whether you bake or grill this healthy fish, salmon is a wonderful entrée choice. Its primary nutrient is omega-3 fatty acids. Flaxseed-Add ground flaxseed to cereal, muffins, cookies, yogurt, and more. Primary nutrients include fiber and omega-3 acids. Kidney beans-Whether you cook these alone or add them in soups and salads, you can't go wrong with kidney beans. Primary nutrients include omega-3 acids, calcium, fiber, and niacin. Almonds and walnuts-A handful of almonds or walnuts packs a powerful punch when it comes to fighting heart disease. Add these nuts to yogurt, salads, cereal, or eat them alone. Primary nutrients include vitamin E, omega-3 acids, and magnesium. Red wine-Red wine in moderation is heart healthy and contains good HDL cholesterol. Tuna-Another wonderful fish choice, add tuna to salads or eat on wheat bread. Primary nutrients include omega-3 acids and folate. Tofu-For a tasty option, add tofu to stir-fried veggies or marinate and grill. Primary nutrients include calcium, magnesium, and potassium. Brown rice-Add vegetables, and you've got a simple meal that's rich in fiber. Berries-These include blueberries, cranberries, raspberries, and strawberries. Primary nutrients include vitamin C, calcium fiber, potassium, and magnesium. Spinach-Add spinach to salads, sandwiches, and other healthy menus. In addition to the above foods, add the following to your heart healthy menu. For more healthy heart menu selections, check out the following websites.